Amy Davidson knows the difference a year can make – she seen it first-hand. In the seven years since the Emerge programme began, she’s seen one girl go from thinking she was “dumb” struggling at the bottom of her math class to topping the school. Another child who has been through the programme went from an obese child who didn’t want to take part in any physical activity, to becoming a representative in waka ama. The Emerge programme, run by Kimiora Community Trust, takes “at-risk” children between the ages of eight and 12, running weekly sessions with them after school, and taking them on week-long camps during the holidays. For Ms Davidson, it’s about being the fence at the top of the cliff, rather than the ambulance at the bottom. And thanks to the continued support of the Rotorua Energy Charitable Trust, they’re preparing for another year of helping youngsters. Ms Davidson says the programme came about when she discovered a gap in those helping children under 12. Surprised by the lack of support available, she set up the programme which takes children who are referred by school social workers, parents or police, and spend a year in the programme. “We have timed it so we get them at a really crucial stage in their lives, where there is a real benefit in supporting them and helping them to make positive changes in their lives. “During the programme participants build relationships with adults who can mentor and model good values and attitudes, resulting in better outcomes and school and more positive involvement at home. She says those running the programme aren’t councillors or psychologists, but refer for added support when needed. Ms Davidson says a key to the programme’s success is that it is independent and optional, not something that is court ordered or forced upon parents. She says for some, this is a key at getting them to engage – and sees the benefits extend into the wider whanau. Parents are encouraged to attend a parenting course which is also run through the trust, but they don’t have to, Ms Davidson says. There is also a whanau day held each term where the families of participants can join with their kids in a fun activity. Ms Davidson says the $20,000 the organisation has received from Rotorua Trust is a key to making the programme a success. Most of the money is tagged to the Emerge programme, while some goes towards helping with other costs such as the coordinator’s salary to assist with both Emerge, and the wider range of programmes Kimiora Trust runs. Rotorua Trust chairman Stewart Edward says the Trust is proud to support Kimiora Community Trust, especially hearing the success stories of programmes such as Emerge. 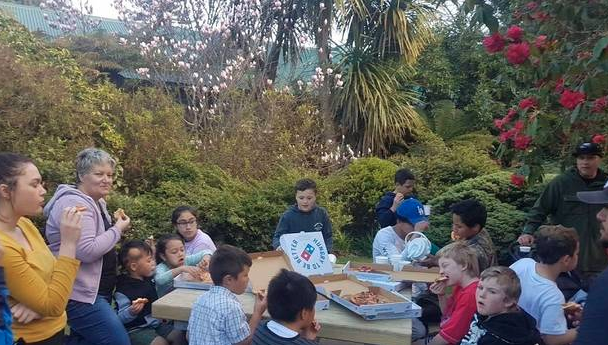 “This is a programme which not only helps the children, but their whanau in a holistic way. From enhancing existing talents to learning new skills and growing socially, this programme is making a difference.